Wayne Rooney has scored some wonderful goals in his illustrious career. Wayne Rooney is one of the greatest English players of all time and a Manchester United legend. In January, he cemented his spot at the top of Manchester United’s goalscoring charts as he surpassed the legendary Sir Bobby Charlton to become Manchester United’s all-time leading goalscorer. A career that began at Everton and achieved its peak under Sir Alex Ferguson in Manchester is now slowly entering its final phase. 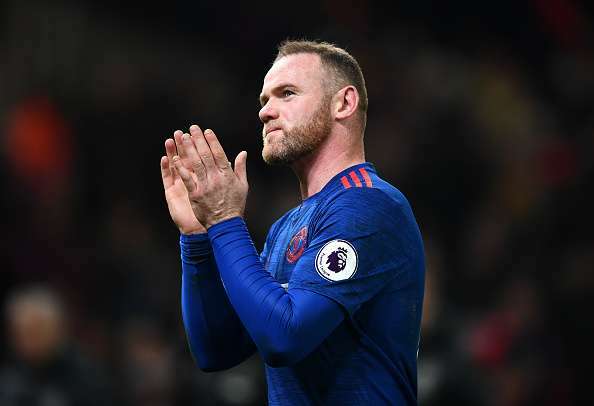 Despite being captain, Wayne Rooney is no longer a regular starter under Jose Mourinho this season and has been playing the role of supporting cast for his team. At 31 years of age, it can seem a premature decline in his game. However, having burst onto the scene at the age of 17, all these years of toil seems to have worn him down as age is catching up. However, his technical attributes including his finishing and creating ability are still intact and he can still have 3-4 years at the top if he changes clubs. Moreover, he is England’s highest goalscorer and the second most-capped player having represented his country since 2003. He also holds the record of having scored the highest number of goals for one club in the Premier League with 180 goals for United and is second on the list of Premier League’s top goalscorers with 195 goals, ahead of the likes of Arsenal legend Thierry Henry and Chelsea legend Didier Drogba. Of the 250 goals Rooney scored for the Red Devils, some of them are certainly more memorable given the importance of the occasion or the quality of the goal scored or the technique involved in it. 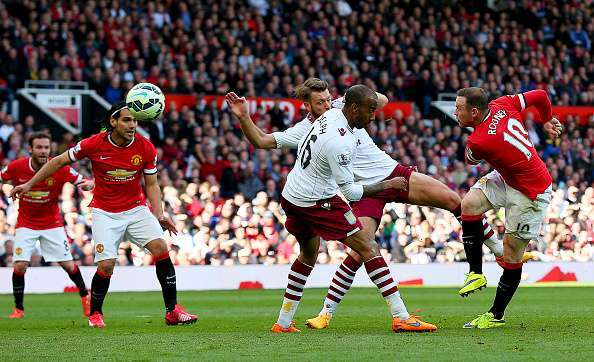 Here, we look at 10 top goals Rooney has scored in his long career at the Manchester club. One of his best goals in recent years, Wayne Rooney showcased his ball control and power in a net-scorching goal against Aston Villa. Having scored 13 goals against Villa in the league over his career, this definitely is the best among them all. After Angel di Maria found himself in acres of space to run into, Rooney showed his desire to run from midfield and into the box. When the Argentine sent in the cross, Rooney showed his excellent touch and control to bring the ball down but had turned his back towards goal in the process. However, he managed to unleash a vicious shot on the turn, beating the keeper and completed a fine goal to remember.